The winter ski season is certainly fast approaching, and with the same selection of ski resorts on offer from many companies across the board, it is understandable why many are not as enthusiastic about this season. So if you are looking for some inspiration for this winter, and not just in regard to skiing holidays, then here’s a few suggestions that might inspire food for thought. Winter Ice Climbing Course Weekend in Scotland! No need for skis or boards on this break, as you will learn how to ice climb with crampons and ice axes which are provided. 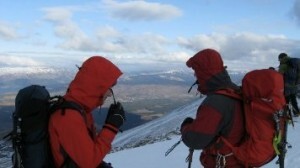 Learn new outdoors skills and use them to climb to the summit of Scottish Winter Mountains. This tough yet rewarding 3-night break starts from £264 and is only suitable for adults and kids aged over 12, due to the difficulty. Always fancied getting up close to the Alps but never fancied climbing up them or skiing down them? Then this is the break for you, staying in a 3* hotel with a return journey on the Red Train from Tirano (Italy) to St Moritz (Switzerland) where the route is a UNESCO world heritage site. At nearly 2000m above sea level you will have an unparalleled view of the Alps and have the day to spend in glorious St Moritz. 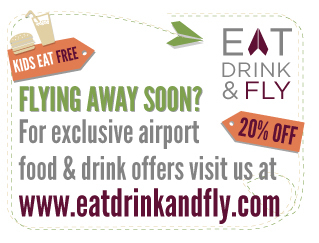 Plus from only £171 for a 2-4 nights break it won’t break the bank either. This one is for experienced skiers only, who can handle the red and black slopes with ease. This package gives you the opportunity to ski in Slovenia off piste and try guided heliskiing in Slovenia plus Italy or Austria, whilst staying in a cosy riverside chalet. From £1099 it covers a week long stay on a half board basis with a 6 day off piste adventure course with Heliskiing, safety equipment, all transfers and free mountain rescue, which hopefully you wont need! 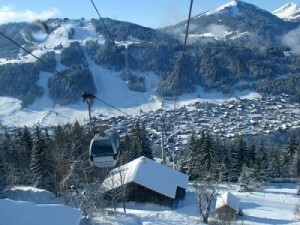 Ski in France and experience the 5 day Basscamp Music festival in Morzine. With a massive amount of runs and huge choice of après ski bars, this is more than just a ski holiday. This break is all about skiing all day, partying all night but doing so in style, staying in a 4* catered chalet from £1107 for 7 nights with ski and festival passes. Who says you have to go skiing for a week? Ski in Italy on this break for 3 or 4 nights and cram it all in from skiing each day to entertainment every night. Perfect for singles, couples and groups and only available on 2 select dates this looks like it will be a ski trip to remember, and from £265 with ski passes, ski hire, airport transfers and lots more you are getting plenty of bang for your buck. So if you are fed up with the same winter holidays each year then why not check out these hot breaks as they guarantee that your 2012 winter break is one to remember.